Physical prototypes can be a costly process. 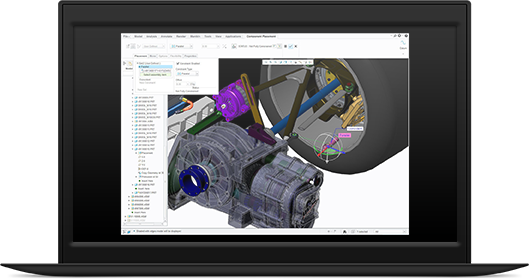 But, by deploying Creo Simulate, it is possible for design engineers to completely test and analyse the strength of a design and use this information to optimise the final product. With Creo Simulate, you do not need to come from a FEA-background. By being able to test your 3D virtual prototypes with Creo Simulate, you can test and analyse the structural and thermal parameters of your product design. Creo Simulate offers early insights into your designs. This means you can improve your design even before you have to commit to the expense of creating a physical prototype.